MGM Resorts was known as the best casino group in Las Vegas just two years ago. MGM Grand won our award for best blackjack on the Strip in 2013. All other casinos in the group minus Circus Circus – Aria, Bellagio, Mirage, Mandalay Bay, Luxor, Excalibur, Monte Carlo, and New York New York – won honorable mention. None of these casinos spread 6-5 games outside of single deck and party pits at the time. Aria, Bellagio and Excalibur didn’t spread any 6-5 blackjack at all. That has completely changed. These days, every single MGM Resorts casino in Las Vegas spreads 6-5 games. Single deck games have disappeared and have been replaced by 6-5 eight-deck shoes at most MGM casinos. It all started at Monte Carlo. All blackjack tables on the casino floor became 6-5 in early 2014 and by the end of the year every table except a $25 double deck game paid 6-5 on a natural. The high limit games with a $50 minimum for shoes and $100 minimum for pitch paid 3-2 on blackjack and stood on all 17’s. In April, those games started hitting soft 17 but still pay 3-2 on blackjack. The minimum bet was raised to $100 for the high limit shoe game. Mirage became the next MGM casino to remove 6-5 from its lower limit games. 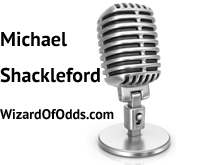 Our July 2015 visit revealed just one blackjack table with a minimum below $25 that paid 3-2. It had a $15 minimum. All other $10 and $15 tables paid 6-5. Players can consistently find 3-2 games that hit 17 for $25. The stand on 17 double deck and shoe games start at $50 during most busy periods but the shoe game is $25 during slower times of the week. Mandalay Bay became the next victim of 6-5 blackjack in the MGM Resorts system. It lowered all games under $25 to 6-5 late in 2014. 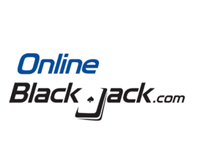 Players betting $25 will find hit on 17 blackjack games that pay 3-2. It takes $200 to get stand on 17 games at Mandalay Bay. New York New York also dumped most of its 3-2 tables in favor of 6-5 in 2014. Players will find two shoe games with $10 minimums and two $25 double deck games. These are behind the craps pit. All other blackjack games on the main casino floor at New York New York pay 6-5. In 2015, New York New York started hitting on soft 17 in high limit games. The minimum in these games went from $50 to $100. Luxor also made changes to blackjack in 2015. All shoe blackjack games on the casino floor pay 6-5. Players will find two $25 double deck games that pay 3-2. Luxor also started hitting soft 17 in the high limit salon. Excalibur was one of the best places for low limit blackjack in Las Vegas until this year. There were no 6-5 games in the casino. That all changed. All shoe games now pay 6-5. Players must take a seat at the $25 double deck tables to get a 3-2 game. Bellagio and Aria were the last two casinos on the Strip to spread no 6-5 blackjack games. That changed in July 2015. All games under $25 now pay 6-5 on blackjack at both Aria and Bellagio. Players will find 3-2 blackjack from a shoe that hits soft 17 for $25. For $50, players can get shoe games that pay 3-2 and stand on all 17’s. The double deck stand on 17 games have a $100 minimum bet at both properties. There are a couple of options for low limit players that are stuck at an MGM property in Las Vegas and want to play blackjack. Several MGM casinos spread Free Bet Blackjack and Blackjack Switch. The minimum bet is typically $10 or $15. Free Bet Blackjack still pays 3-2 at MGM properties. These have a lower house edge than 6-5 blackjack. Excalibur and Luxor spread $3 video blackjack that stands on all 17 and offers double down after splitting and surrender. Another option for players at Mirage is to take the tram to Treasure Island where the best low limit blackjack on the Las Vegas Strip is found. All Caesars Entertainment properties spread at least a couple of tables of $10 and $15 3-2 blackjack. These are within walking distance of MGM properties in the central and northern parts of the Las Vegas Strip. There is no reason for a low limit blackjack player to stay on the strip anymore. I have stayed at Aria at least twice a year since it opened. I appreciated how they resisted this rediculous 6 to 5 trend. I would play 15 dollar and occasionally 25 dollar tables. The only way to reverse this trend is to vote with your pocketbook. No 3/2 games then no room reservations at that resort, no restaurant reservations, no cirque du soleil tickets. Locals casinos here we come. People will just stop coming to Law Vegas. They did this 6 to 5 garbage because the housing market collapsed, and people weren’t going to Vegas like they used to. Add the CSMs that automatically shuffle after every hand, and there is no room even for a generous card counter that is willing to tip both the dealer and the pit boss, have a little to take home, and a little to try one’s luck at craps. I suspect that the answer was to have better payouts, maybe a promotion of 2 to 1 blackjack, then make the money back at the slots. At least they would have brought some people in.